Stoney Buxton needs to raise cash fast to save the family ranch after a barn fire injured his father and left the family finances in ruin. Re-entering the rodeo circuit seems like the best way to get the money he needs. That is until Melanie Summers shows up at his ranch flashing easy money. To everyone else, Melanie’s offer seems like the answer to all his prayers. 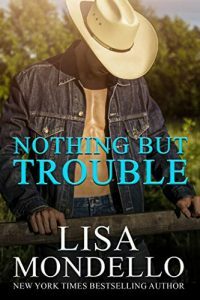 But one look at her long legs and pouting lips and Stoney knows this high society gal is going to be nothing but trouble…for his cowboy heart.